Saturday, September 15th at 5:00pm & Sunday, September 16th at 1:00pm and 3:00pm! A new dramedy following a day in a life of three millennials as they navigate through their professional and personal lives. 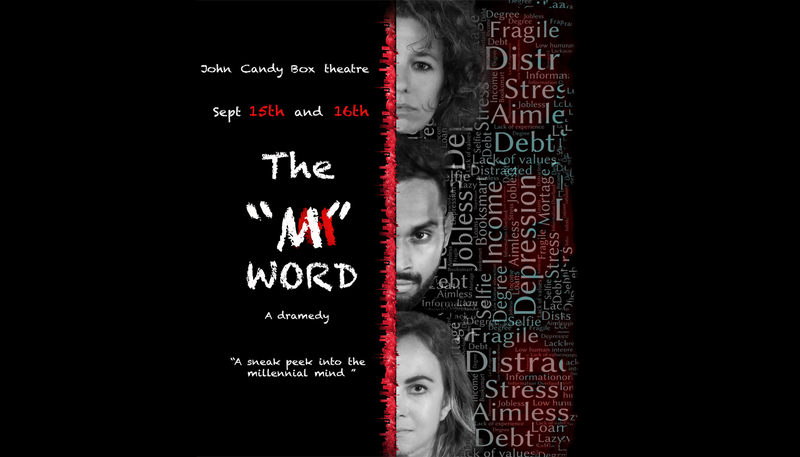 Created through a mix of improv and original writing, the play seeks to understand what it is to be a millennial while making some of the most important decisions of one’s life. An ode to being in you’re 20’s, The M Word will make you laugh, cry, and question one of today’s most debated labels. Written and performed by Akhil Nair, Hannah Engelhardt, and Marie Issermann, this trio of artist come from very different backgrounds and training. Connecting through a love of storytelling, the M Word is our perspective of our story, and many others.